"Rosstroytech" manufacturing associated equipment for the precast plants, such as vertical frames for 3D cages welding, bulk dispensers for concrete production, skip elevators, conveyors and transporters. 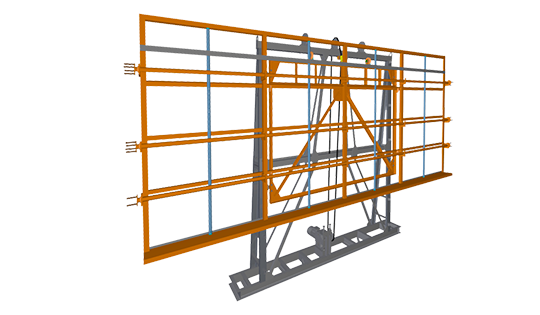 3D assembly machine is designed for assembly and welding of 3D reinforcement cages for concrete products, for example, sandwich panel frames. 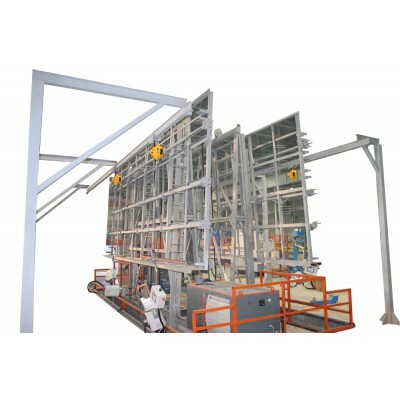 Vertical 3D assembly machine for welding reinforcement cages consists of: actuator driven base frame with a lifting jig, welding tongs outboard (or arc welding machine) with vertical and horizontal adjustment, pit. Vertical 3D assembly machine is.. 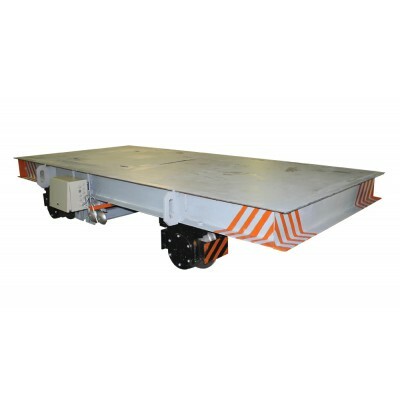 Remote controlled rail-based platform vehicle powered by drive onboard or via an independent drive system outside. 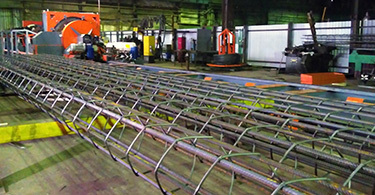 Сarrying capacity up to 40 tons. ..